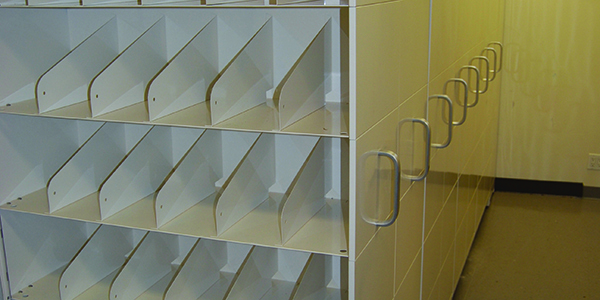 Spacefile’s high-density storage solutions are built to suit a variety of corporate applications. We service a number of clients who expect high quality products and consistency across multiple locations. Many of our corporate customers are moving away from offsite, 3rd party storage services and installing our high-density storage systems, for accurate and timely access to information. 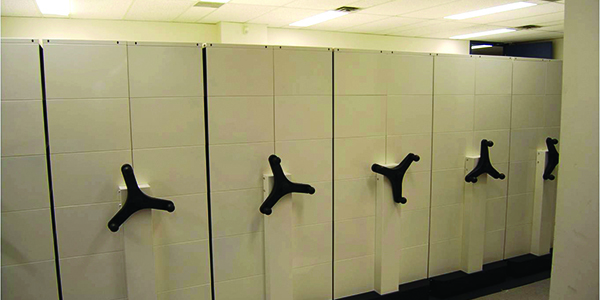 Spacefile’s ergonomic mobile carriages remove the need for aisle space, immediately increasing your storage capacity. Our fully finished demountable floating floor can be placed on top of any pre-existing flooring, making our systems ideal for leased or new build situations. Spacefile’s storage systems can be reused, relocated and reconfigured based on your needs and your growth; you never loose your initial investment. 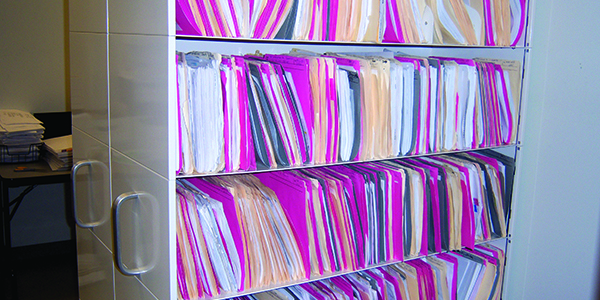 Spacefile offers a variety of shelving options to include the storage of both active and archival files, office supplies, marketing materials, form storage, and personal storage space for ‘hoteling’. 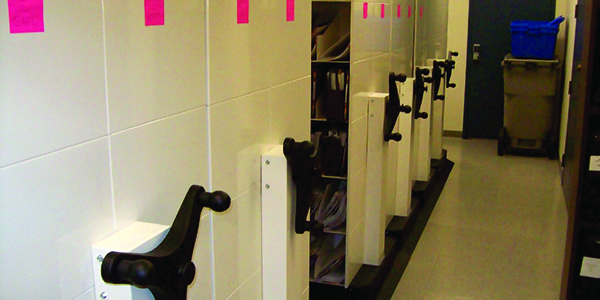 Our multiple locking features enable Spacefile to divide a single storage unit into many sections for use by different departments or different levels of access. 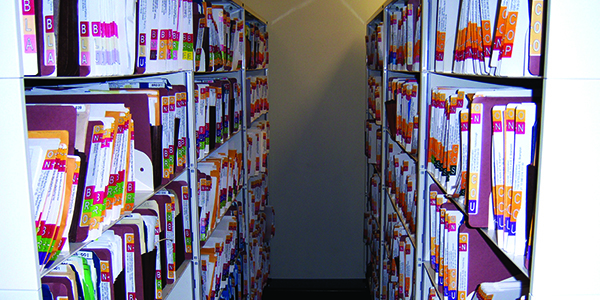 Spacefile’s high-density storage systems are ADA compliant, meet accessibility requirements, and are UL GreenGuard certified. Our in-house design team uses SpaceTools, to customize a solution that will optimize your space plan and maximize your storage capacity.